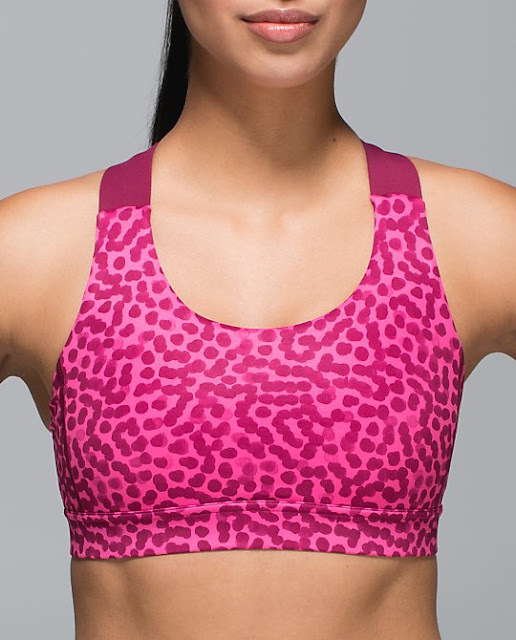 New Ace Spot Jeweled Magenta/Dark Purple Top Speed And All Sport Bra. Funky new print called Art Pop Black Multi Inspire and Speed crops. I'll take a Sculpt tank in this. Cute new LS Swiftlys in Poseidon Blue, Jeweled Magenta (this is solid, no tonka stripes), and Plum Peach. I have been wondering where new Plum Peach items were. I hope we're getting more. New What the Sport Singlet in Heathered Poseidon and Jeweled Magenta. I like the shimmer on these. 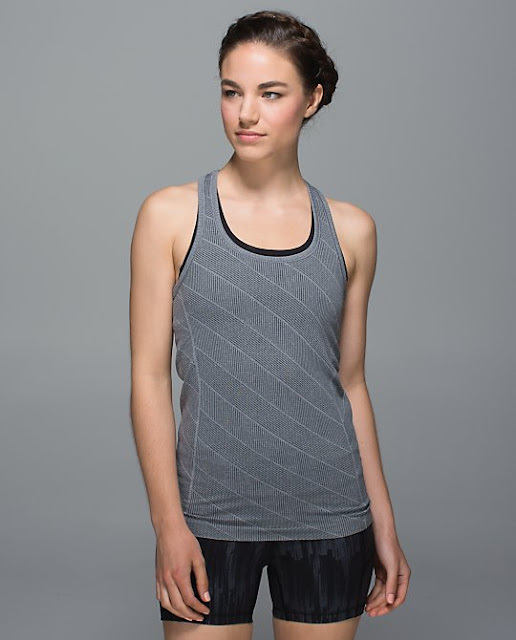 New Swiftly tanks in Heathered Slate, Jeweled Magenta Peach Fuzz, and Heathered Jeweled Magenta. Diamond Jacquard Space Dye Clarity Yellow. Not sure whether we'll see these. These are items we won't be seeing since they're for Australia's winter. I doubt we'll get these for our own fall/winter, too, so if you want them, I'd find an Australian angel. 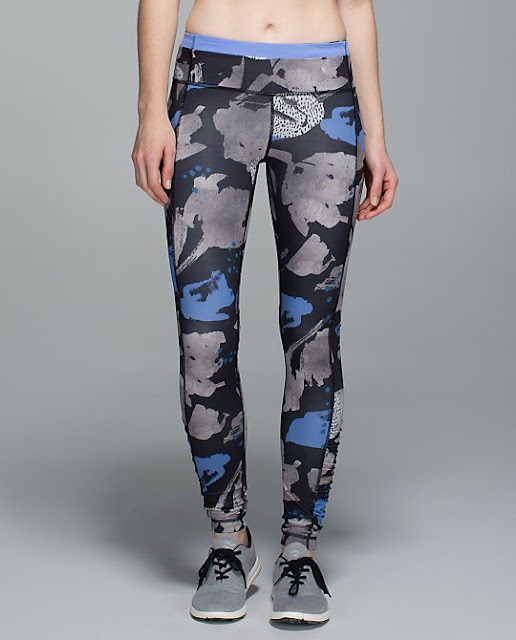 Tech Fleece Speed Tights in Poseidon Blue, Fluffin Awesome Vest *Shine (so cute! 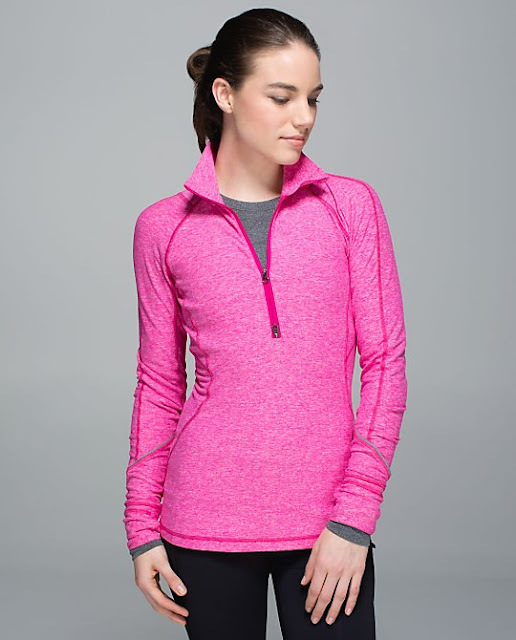 ), Fluffin Awesome *Shine Jackets in Denim Blue and Gator Green, Race Your Pace Half Zips in new Gator Green and Jeweled Magenta, and a Race Your Pace LS in Jeweled Magenta. Oh my - I will save money this week if Canada gets these items...well maybe LS Magenta swiftly since it isn't tonka stripe! The what the sport singlets are too thin and clingy compared to SRB and CRB so I will wait on electric coral. I'm not sure I am liking the shine on the tanks --- hoping Canada sees a few more spring colours. Australia gets all the color for winter, US gets maybe one or two for summer? Australia lucks out and gets very pretty items for winter. Last year they got nice Earl Gray rulu tops that we never saw. I might be in the minority, but I think the shine/shimmer puff jackets and tank look a bit cheap. Will have to see them in person to better tell. 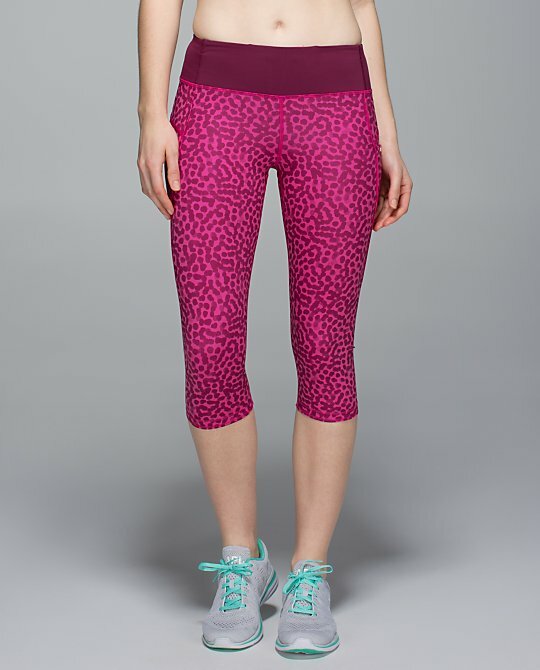 While there is nothing I personally would buy, this is starting to look like classic Lulu again. Keep it going! These prints look a lot like the Koydan stuff you find at marshals, for $25. That upload--if it occured in the US--would be very expensive for me. I liked quite a bit of it. 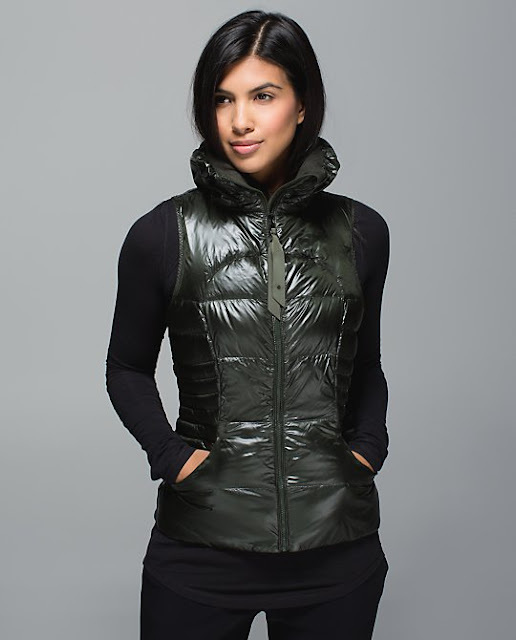 I'd own a down lulu vest finally. I'm never into the colors the US gets for down pieces. But I agree with LLA that Aussie gets the good winter stuff. I loved heathered magenta and will have to pick up the ls and tank swiftlys when they upload. I also love your blog!! I love that the pics load quickly and you're so fast with the new products. It's tiresome reading one of the other blogs where she is constantly patting herself on the back when she gets a prediction correct or that thinks that Lulu is reading her blog to get ideas on where to do photo shoots!?! You keep it honest and real! Thanks for having such a great blog! I want those space dye clarity yellow crops!!! I hope Canada will be getting more Race Your Pace Long Sleeve Tops this fall and winter, I love the ones I have. 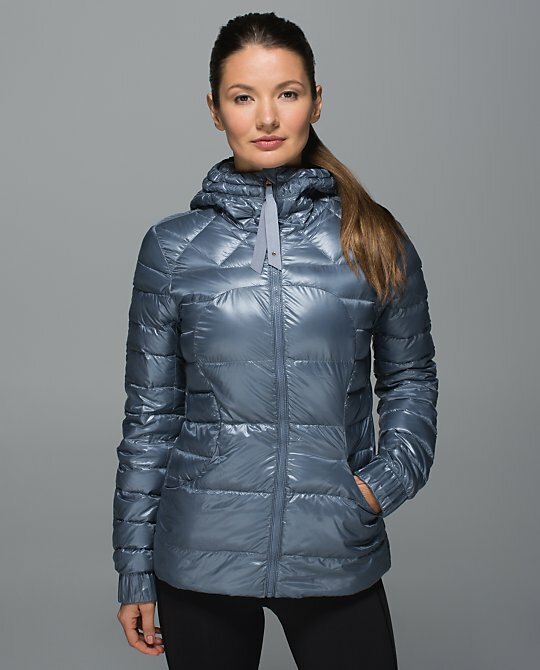 I also have the RYP Half Zips and like them too, but the LS version is my favourite! Also, not sure I love how shiny the vest and jacket are, but they're a nice looking style. 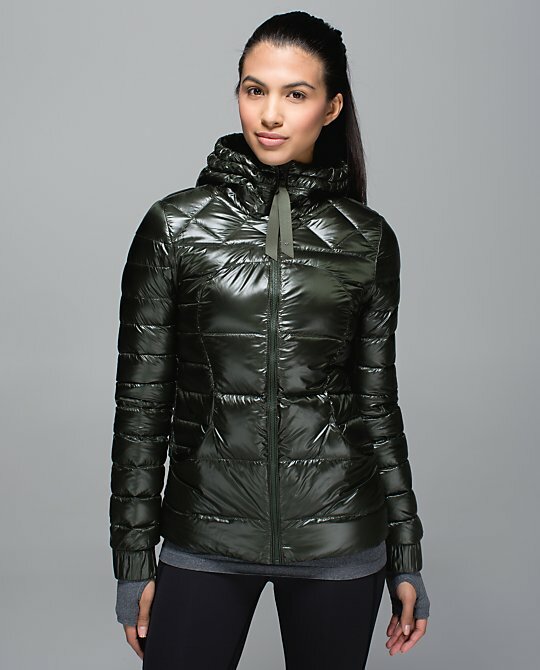 I bought a down jacket this winter and it is an odd fit, not sure if all of their down jackets are narrow across the shoulders and tight on the bust and then too loose through the waist, but mine has this fit and I really dislike it and wish I had of returned it (I sized up to get a better fit on the top but it's too loose through the waist and not that flattering) and I'm not one to have to size up for shoulders as I have a small frame upper body but I do have a bust though (32E). 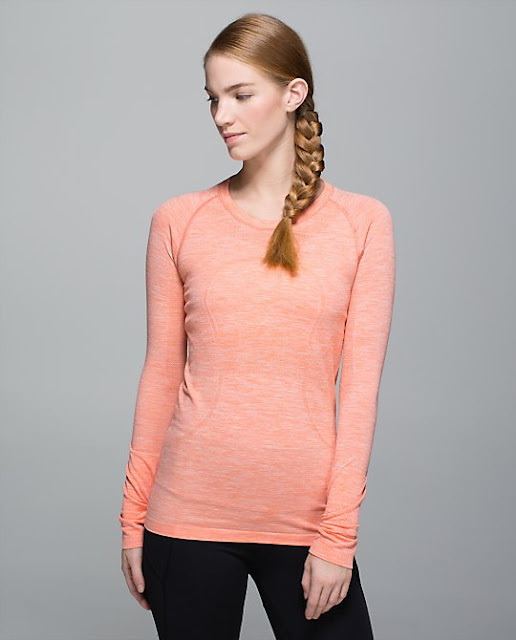 Anyway, I'm looking forward to the new Swiftly top colours for Spring and Summer! And that gorgeous Jewelled Magenta Define Jacket! LOVE the colors and the what the sport tanks! they must be mine. agree with above that the shine looks a little cheap.. but that vest is the best thing ever, so i wonder if we will see it in person. Forgot to mention, I really dislike the diagonal stripes on the Swiftly tops! I hope we wont see too many like this. hooray! no odd multipurpose lines or mesh explosions! @ anon 1:45 pm - I agree. The Swiftlys with the pattern woven in are too thick and not very stretchy so an easy pass for me. LOVE the Heathered Poseidon CRB. It will be mine. And if Canada gets a Race Your Pace LS in Poseidon, I think I might die of happiness. Omg so agree. And sick of all the lulu bashing from said blogger. She only praises the companies who send her free stuff. @ anon 11:52 am and 3:36 pm - thanks! Lol on praising companies who send free stuff. I've had free to stuff sent to me before and I really struggle to find positive things to say a lot of the time. I often go extra nice on them since it is free. When you pay for your own stuff you have a higher standard since it's so pricey. 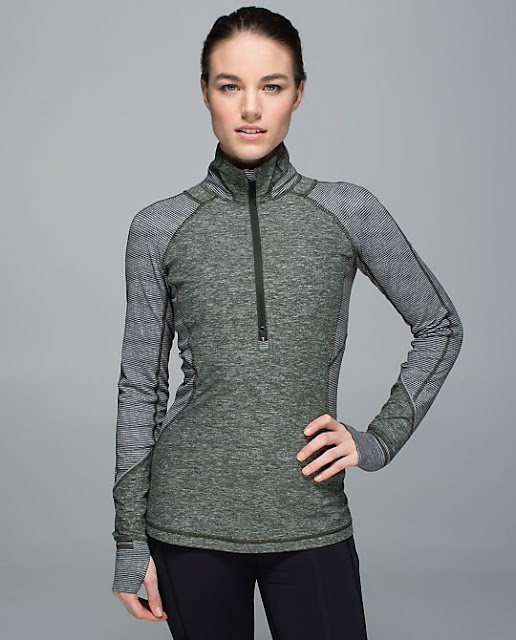 Lululemon puts out a lot of duds but when they get it right - fit, functionality (flat seams, lots of pockets, ipod cord tunnels, fabrics, color) they do it really right and hence the reason they are a very, very formidable presence in women's athletic wear. It's the reason I really can't quit on them, there is no real alternative that gets it right so much of the time. @anonymous 11:52 am ... I could not agree more!!! Well said!! This is the only lulu blog that I check, so I am not familiar with the other bloggers comments. 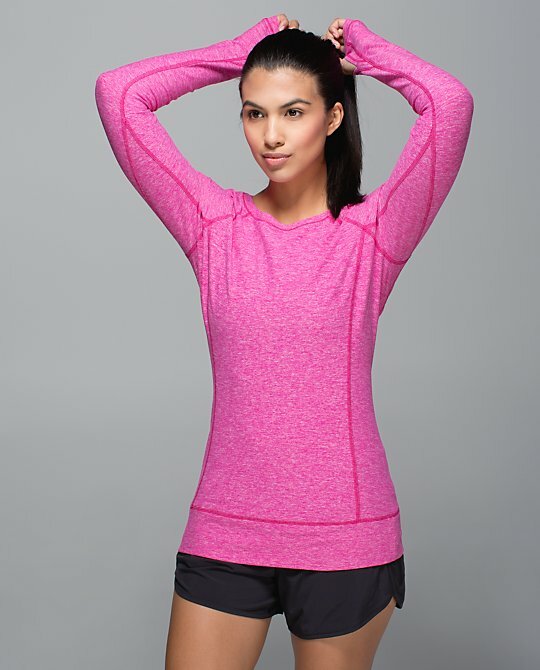 I still like lulu as my first choice for workout gear. For yoga I will buy some yogasmoga and I also tried beyond yoga crops. I think that lulu is moving in the right direction at the moment.